Guys, I love peanut butter. I know I’ve talked about the New Zealand peanut butter situation before, but since then there’s been a new development. 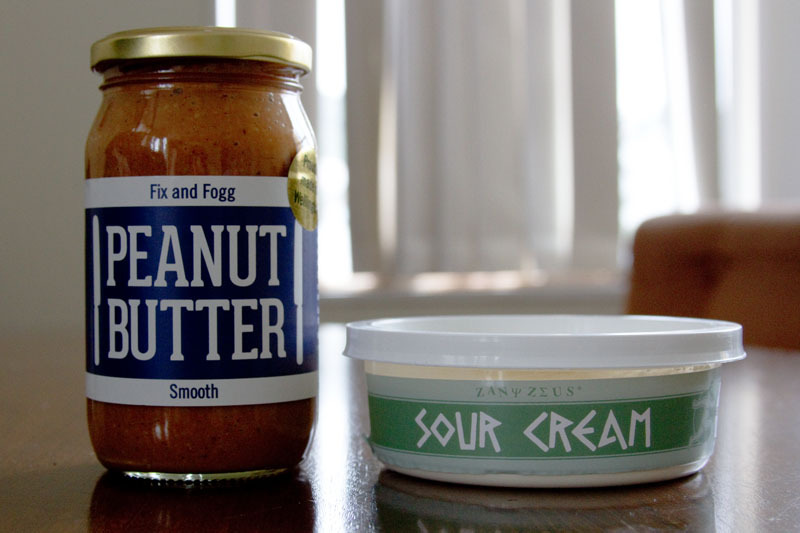 It’s called Fix & Fogg and it is my new favorite food. And it’s locally made here in Wellington! Even better. So when I went to make these cupcakes, I had to use it. 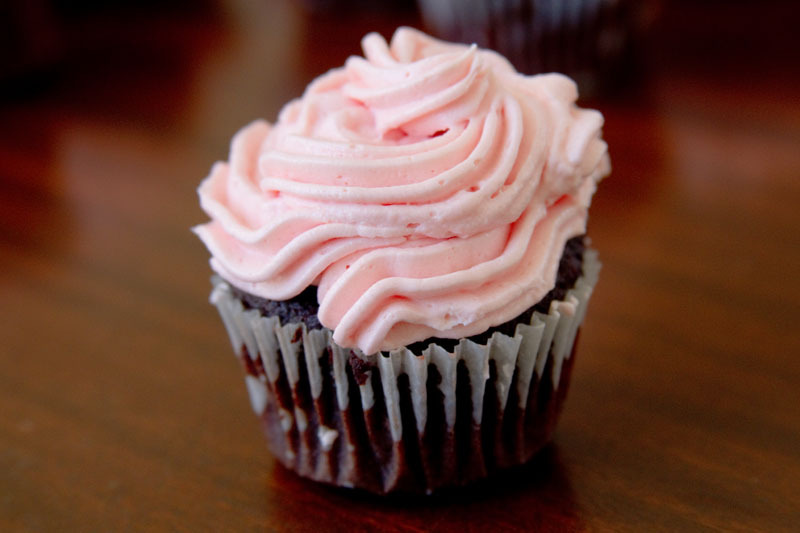 Sure, the consistency of the icing might have been better with something a little less all-natural, but the flavor! The flavor made it worth it. 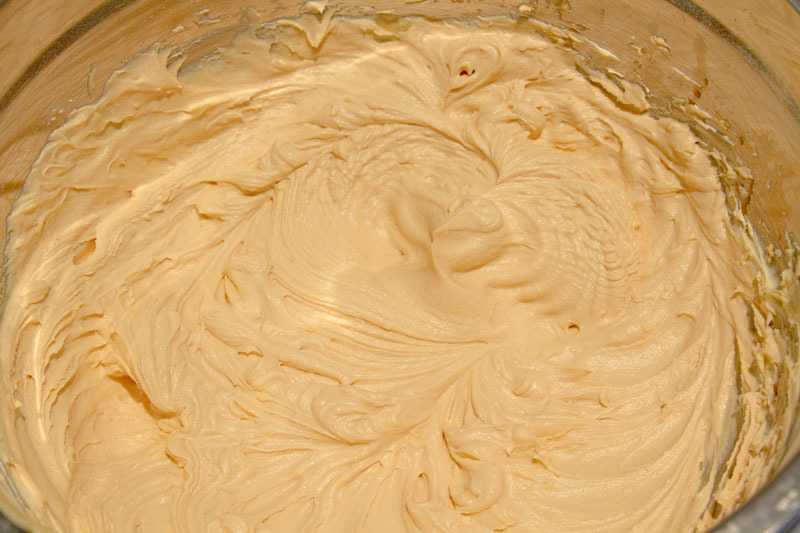 I also used local sour cream, although that was less by choice and more because I found out halfway through my first batch that most sour cream in New Zealand is made with gelatin (which I, as a selectively-strict vegetarian, don’t eat). So after throwing away my first batter, including all of my extra special, exorbitantly expensive Dutch-process cocoa powder, and having a small temper tantrum, I went out and bought some lovely Zany Zeus stuff made up in the Hutt. More birthday cakes! We had two birthdays at my work this weekend, so of course my weekly baking had to be some sort of cake. Layer cakes are a little too impractical for work, so I went with my trusty Magnolia Bakery cupcakes instead. And I had a request for salted caramel from the birthday girl, so naturally that went into the icing. 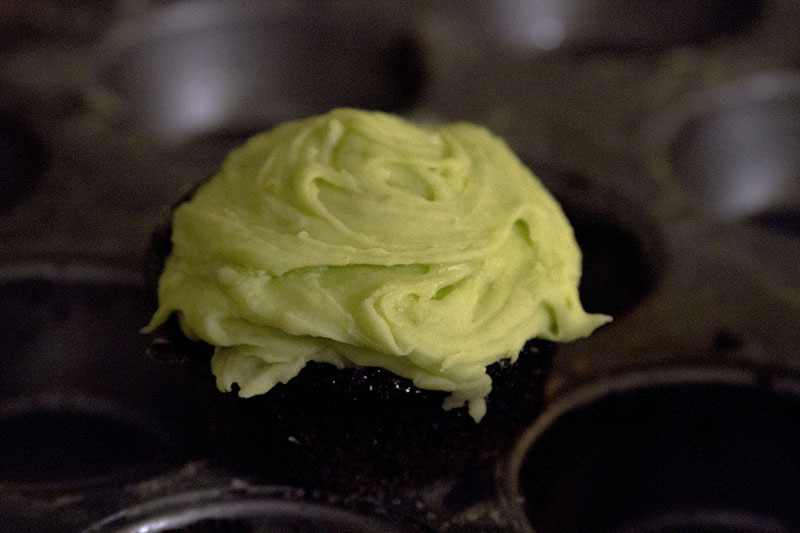 I’ve mentioned before that I always seem to make mini cupcakes. I’m usually baking for so many people that I just can’t make enough of the normal ones. For most cupcakes, I’d make them full-size if I could. But for these ones, I think they’re best small. First because they’re quite sweet, and second because the icing-to-cupcake ratio is so much better for mini cakes than for full-size ones. 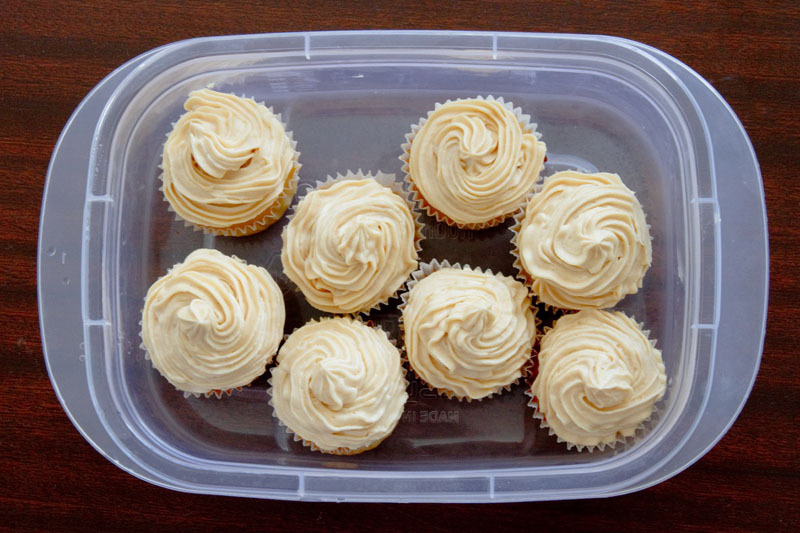 And the icing for these is crazy delicious.